Are the United States women’s organizations credible and helping women? Women’s organizations are supposed to be there to uplift, support and help women! So are they truly helping Women? In some ways Yes, and more ways No! Many women in the United States ‘Reproductive Health” is being altered and has become extremely deadly for many U.S. women! 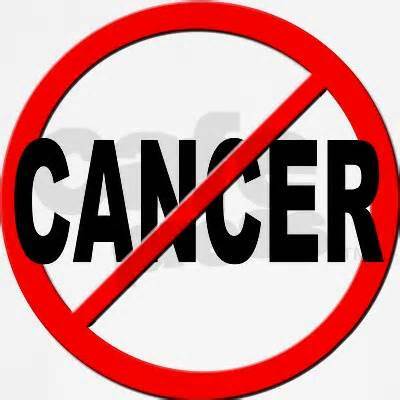 Cancer is spreading rapidly in U.S. women and should not to be taken lightly! Why isn’t anyone doing anything to help U.S. women, does a international country need to step in to save the lives of American women? Astonishingly, although many of these ‘Women’s’ organizations receive public and federal funding, although there hasn’t been one organization or government entity, reaching out to help women in the United States who’s ‘Reproductive Health’ has been impacted in some form or fashion! Why is that? Do they care? Everyone knows a woman’s reproductive system is part of a woman’s internal organs, and if severely impacted this could cause woman to die, become medically ill, and/or internally diseased. Women in America are being targeted in every facet imaginable! When it comes to ‘Women’s’ lives, female run organizations, leaders of America and world leaders should surely step up to help women, who’s health is being impacted or has been impacted! Unsupported illnesses and deaths are occurring, is this unimportant? U.S. families reproductive health is involuntarily being destroyed by Americas corrupt Healthcare system, drugs and products! How is this ethically fair to women in America! Women are the main back bones of many families! Few realize, if you destroy a mothers health you destroy their children! These children now have a sick or deceased mother, who they can no longer look up to for support and guidance, some may become homeless due to no father being present. A mother ill or deceased puts a huge burden onto family households, siblings, grandparents, government programs and society. Also, did anyone not bother to think that U.S. women’s reproductive health personal traumatic stories could help sway laws, and protect millions of other women around the world! Or are they politically keeping these stories private, fearing backlash by the female population? It’s been hard to figure out the past 3yrs. why women led organizations, government healthcare agencies, doctors, lawyers, hospitals, healthcare agencies, and women leaders have mysteriously chose to ignore the many stories being communicated by U.S. women speaking out about there personal ‘Reproductive Health” trauma’s in America! Do their stories and lives not matter? If this is the case many women in America need to re-think who really has there back! Do these organizations, leaders, agencies truly deserve our support in the U.S.? Women speaking up like myself, and lawsuits being filed by thousands of women, will help change laws and bring awareness to other women around the world! Women matter in the world, and we all need to start acting like we matter or men will continue treating us like we are less deserving! So why wouldn’t Women leaders want to help and ask women questions about there ‘Reproductive Health trauma’s, and that ‘s if there still alive, many have unfortunately died due to reproductive health complications? Does the credibility of Women’s organizations hold true? If they aren’t even reaching out or acknowledging the same women they vouched to help protect in America, and throughout the world, What is their true purpose? At this case and point this is not the case! There seems to be a broken link behind Women’s organizations whom are supposed to be there helping support American women who’s reproductive health or health in general has been compromised or currently being altered! So why aren’t these top women led organizations and leaders not assisting U.S. women crying out for help? Well one things for sure at least other U.S. women including myself care enough to speak out about there personal trauma’s, to help alert and protect millions of other women? It’s time to start speaking out against ‘Women organizations and leaders’ who aren’t supporting or helping the women they vouched to help protect! Supporting women calls for much more besides “Political Bureaucracy,” and it’s called, “Women’s Health” which is attached to a human life! Which do you think would be more important? As the owner of CABIRI, and a U.S. woman with reproductive health trauma’s. I’ve personally experienced and dealt with many shortcomings of all these women led organizations and leaders in the past 3yrs. speaking with various organizations, leaders, and agencies, whom all chose to ignore many U.S. women’s voices in America experiencing reproductive health trauma’s due to healthcare corruption! Thank you for reading and please help CABIRI, spread the word, helping us protect women of the United States from devious planned out attacks via greed, power and corruption! American Women’s Voices Don’t Matter & Won’t Be Heard! Ya Gotta Be a Foreign citizen! America, the United States Federal Government doesn’t acknowledge American women’s voices! From personal experience they’ve blatantly refused, to hear about life-threatening ‘Reproductive Health‘ concerns coming from their own American people! Thousands of American women, Healthcare Whistle-blowers, Doctors, and some Scientist have been effortlessly reporting about the numerous attacks against Women’s ‘Reproductive Health’ in the United States. Which coincides with ‘FGM’ it’s merely the same subject! Are you serious America, “2yrs. reporting about the ‘Reproductive Health – FGM’ crisis in America,” and no response from any leading American official, until a ‘Foreign country and citizen gets involved!’ Which truly shows how much the U.S. Government really cares about the voices, of “American Women or the people of the United States! Why did it take another country and Female citizen, to acknowledge American Womens Reproductive Health is in jeopardy? A African woman from ‘Gambia’ now in America, experienced ‘FGM’ in her country and spoke out about her personal ‘FGM’ attack in her country ‘Africa,’ and her attacks within the United States! Ironically, and Thankfully the African woman’s ‘FGM’ personal experience from ‘Zambia’ was recognized, gaining more than 221,000 signatures, support from London, U.S. Government, United Nations, Guardian News, and a organization based in the U.K. by the name of Equality Now @http://www.equalitynow.org/! If you are a American Woman you get no response or support! Gambia- Change.org Petition: My name is Jaha Dukureh and I am 24 years old. As an infant growing up in Gambia, I experienced Female Genital Mutilation. It took away a part of my femininity, my ownership to my body. Some girls, including my half-sister who died from complications from being cut, even lose their lives. CABIRI’s owner Candance Camper a American citizen ‘FGM’ victim, put in years of due diligence, and research into Americas Healthcare industry, all the hard work and reporting wasn’t acknowledged at all by the United States Government, since I wasn’t a ‘FGM’ victim from Africa! Wow! The numerous Reproductive Health article’s published, emails, phone calls made to top officials, and my business website was set up by CABIRI, back in December 2013, explaining the reproductive health attacks against women via Americas new International Pharmaceutical Industry was developed to warn all American Women! It’s amazing that, I’m a Black/White/Indian American born woman who’d experienced FGM in my own country, and my own U.S. Government, medical leaders and numerous healthcare leaders chose to ignore me completely, leaving me lifeless with no support, with lingering medical issue’s no doctor, pathologist or hospital can explain! The only thing I personally heard from numerous American leaders the few who did reply was, Oh, were sorry that happened to you! There was one report done about my personal story @ Lawsuitsandsettlements.com a Canadian Medical Lawsuit website. Thankfully a African woman from, ‘Zambia’ reported the same issue occurring in her country, and luckily she’s now residing in America because she realized there’s a FGM problem in the United States! Now she has international support to help “All Women,” who aren’t getting any help or support from the U.S. Government. Myself and many others have been speaking out about “Womens Reproductive Health ‘FGM’ attacks,” against all U.S. women, who are being ignored and going unprotected against these current attacks in America! View all below articles then ask yourself if this ethically correct in the United States! Petition Victory: At a summit on FGM and child marriage in London, the Obama administration announced it would conduct a major study into FGM to establish how many women are living with the consequences of FGM in the United States and how many girls are at risk. Not only that, but the administration said they would create a preliminary working group on FGM, with a mission of measuring the extent of FGM in the United States and coming up with concrete plans to tackle it. Activists hail study, which will assess how many US women are at risk, as ‘a great success for everyone who has fought for this’ Cathy Russell, the US ambassador for global women’s issues, confirmed that the study would be carried out by the US Department of Health and Human Services. Speaking to the Guardian at a major summit on FGM and child marriage in London, Russell praised the event for highlighting the issue. “This summit is important because it brings together government, civil society and activists who care and have been working on this issue,” she said. FGM is carried out in 29 countries, and Unicef has estimated that more than 130 million women are living with the consequences, which include heavy bleeding, infections, infertility and death during childbirth. At least 228,000 American women and girls in the US are at risk of the practice, according to previous research from the African Women’s Health Center of the Brigham and Women’s Hospital, but the true number is thought to be much higher. This is a major problem for all United States Women! Every American Woman has to stand up and start “Demanding” to be heard in the United States to protect our health and lives! Millions of Womens lives are in danger, please pass this along and support both ‘American based FGM and Gambia, U.K., ‘FGM’ petitions please take a few minutes to save millions of ‘Women’ by signing petitions: (links below) Gambia and 2 American Women Change.org petitions. I hope many read this story and see the problem American Women are facing! Our own U.S. Government is ignoring our cries for help! If your a foreign citizen they will help you! What are American Citizens to do about the communication barrier with the U.S. Government! Lives are at stake and top leaders and corporations in the U.S. care nothing about helping their own country people, until they get caught by another international country, which at that point the U.S. will act on the crisis to not look bad, not wanting to be held accountable for Women’s lives in America who will be harmed, or discreetly killed! All women please help save our lives it’s important we stand together and support one another like we’ve never done before, believe it or not we do have a ‘Reproductive Health problem in America! Please pass along and continue to follow and support CABIRI, helping save millions of lives! Marriages in America should have a Quarterly, Yearly, 5yr. to 10yr, licensing renewal process, just like Taxes, or a Car Registration, if the couple does not agree to stay married at renewal time they should have the option to divorce at the time of renewal, without consulting an attorney! The only Attorney consultation should be if assets or children are involved! The State’s could charge an Opt-Out Marriage Fee or a Marriage Renewal Fee, depending upon the choices made by the couple, when the first initial marriage license is received! This would save many long drawn out divorce cases! Also, if an American Citizen marries a foreign citizen, not a legalized citizen of America, only by their marriage, the American Citizen should be able to end the marriage at any given time, without penalty! This how many women of international countries are coming to America, by marrying American Men to become American Citizens, and bring over the rest of their families! All Women! Please be aware of “Birth Control” Toxic Dangers From 2nd, 3rd Generational toxins and Newer Birth Control Mixed Chemical Toxicities, That can severely harm your bodies internally and externally! Please Read vital information and Save lives Pass this article Along! All women of America Please read for your own Reproductive Health Safety, in reading you’ll find it very interesting the health risks involved from taking these toxic Birth Control pills, and Birth Control Devices! We categorised 20LNG, 30LNG, and 50LNG as second generation progestogens, and 20GSD, 30GSD, 20DSG, 30DSG, and 35NRG as third generation progestogens. 35CPA and 30DRSP were not used in this classification by generations. Apart from adjustments in the dose of ethinylestradiol, the progestogen compound was also changed in an effort to reduce side effects. After the first generation progestogens (that is, norethisterone and lynestrol), new progestogens were developed. These new compounds were called second generation (that is, levonorgestrel) and third generation progestogens (that is, gestodene, desogestrel, norgestimate).15 However, users of combined oral contraceptives with third generation progestogens have a higher risk of venous thrombosis than those using second generation progestogens.16 17 18 19 Other progestogens have been developed after the introduction of third generation progestogens—that is, drospirenone (introduced in 2001). The thrombosis risk for contraceptives with drospirenone was found to be higher than for combined oral contraceptives with second generation progestogens. Women of America are taking 2nd and 3rd generational toxic chemical compounds! Also, let’s not forget to discuss the Newer chemical compounds that weren’t clinically tested properly! The Clinical Trial Dates, Do Not surpass the amount of time needed, to deem a chemical product or drug safe for human consumption or usage! This would mean the FDA and the Pharmaceutical Industry providers are marketing new products to human beings, that are deadly and unsafe. Which is very disturbing and alarming in America! Basically using women as “Guinea Pigs,” for their mixed chemically induced birth control products! Which are causing Reproductive Health life altering problems for all women! The British Medical Journal tells the real truth about the serious findings of “Birth Control Dangers! Thanks BMJ, for allowing the real truth to be known, saving millions of women lives in America and Abroad! Here’s another one you may want to read! Special Report! All Women In Cancer DANGER! Women are being diseased with toxic, drugs, medical-devices and procedures! All women must get themselves, checked and re-checked, you may be infected with Cancer in your body unknowingly! You may have had a procedure, drug or medical-device done in the past, that could possibly of given you cancer, or your at risk, if not treated immediately! It is very important for all Women, to understand what is occurring in the “Pharmaceutical Industry in America,” which could take your life. If you’ve had any type of Reproductive Female problems in the past or currently, now is the time to start worrying about your life! Even, though you may think the problem has been resolved it may have triggered another life-threatening medical problem you or your doctor didn’t see coming! The FDA and Big Pharma Corporations in America have failed to protect human lives, their doing quite the opposite, they’re harming lives, while not being held accountable for causing deaths or impacting human lives, by distributing toxic products that may take a human life! They are celebrating as their revenue’s increase into the billions of dollars! Why is this politically correct, when it’s other human beings, doing this to other human beings? For the benefit of their, Company, Owners, Investors, Board members, Employee’s, Insurance companies, International Country Governments , and many more, so they can fully line their pockets, to reach their goal to attempt to take over the world! While they Inflict harm on Women, and millions of American citizens, trying to take over America Healthcare Markets! I hope Cancer is truly considered a very serious matter to American citizens! 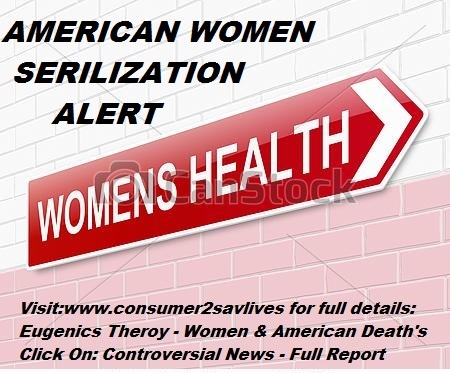 When “Women” are suddenly getting the life-threatening disease, due to Reproductive drugs, medical-devices and procedures, this should send up “Red Flags America!”! This is a deadly disease and there is no cure, Why wouldn’t people not want to get a handle on such a disease that is “Mysteriously” currently impacting Women in various medical life altering ways? There has been attack after attack, lawsuit after lawsuit, with the Big Pharma Corporations in America! The proof is in the pudding, from the FDA (Food and Drug Administration), who reports warnings, and approves Americas drugs and products, claiming they are safe for human beings. Take a look at the many blogs listed, showing massive lawsuits looming in Local, Federal and Supreme Courts! Also, lets point out that many people understand lawsuits take time in America, meanwhile; Millions of women and families have been affected, who are continuing to fight and save their lives or a family members life from Cancer, Stroke or Heart-Attack! While Corporations, Political Bureaucracy and Pharmaceutical debates drag on through lengthy judicial proceedings, and whoever has the most money wins! Is a human life not respected or appreciated any more in this day and age? Does, “Human Being” Licensed Medical professionals; and Human Being International Corporate Business Owners; and Investors have the right to Murder, or Attempt to murder other human beings that are no different than them! Should they not be held accountable for causing deaths, diseases, and life-altering medical trauma’s? Medical research should not only be in the hands of scientist, pharmaceutical corporations, or government agencies, who have something personally to gain by approving or selling toxic untested products, or possibly, some clinically-proven products that may not be toxic, although they could cause severe-side effects that can spiral out of control. There should be some type of outside agency, that does not hold a contradictory value tied to any area of the Medical Industry, this would ensure the utmost “Safety of human lives in America,” not greed, money, power and control driven! Many are stating, “That you can’t beat,” “Big International Pharma” in America, due to the fact they have control over much of Americas Healthcare Markets in all aspects, which makes it difficult, when they are in control, and have billions of dollars, to continue taking control, continuing to impact human lives. This is not a good position for America to be in, a country who is supposed to protect the American Citizens from International corruption. Internationalists must realize, people are people, with precious, families, and deserve protection in every facet from other human beings no matter how big their pockets are, or high their positions are on the corporate and/or Government chain, they’re human beings just like everyone else on this earth! Note: You can’t alter a life, then go on with your life like it never happened! Or Do you not care, because it wasn’t you who has died, or diseased possibly facing death? All Americans, must think about this and please pass along life is precious, don’t take it for granted! For all women please read FDA link below, the alert may hit home to many of you! Please watch your Reproductive Health, and get checked if you had anything listed in the report your life may be at risk! FDA issued import alert after importer tried to ship saline not approved in U.S.
America has been thwarted from the real truth. If you are a media reporter, blogger or journalist, hackers are trying to prevent many from reporting the real facts if your getting close to the truth. Along with putting many in jail who are also reporting, the facts about the American foreign conspiracies and the current International Economical Warfare America is facing. Mathew Mills, the Super Bowl interrupter had every right to stand up for his country, alerting Americans about the 911 conspiracy which was done by the hands of foreign constituents whom are residing in America. They’ve been using top Governmental political figures in America for decades to assist them with their plots. The top greedy political figures have no clue, they were being coerced and befriended by foreign predators who wanted too gain control of America and truly didn’t like them personally. These tactics has worked out wonderfully for these foreign predators. The new American foreign political leaders, actions aren’t friendly relations when Europe – Germany and China is now in control over many markets in the United States, which has resulted in American families suffering in poverty, no jobs, cut unemployment, higher healthcare, and cut Governmental assistance programs.The United States top Governmental officials, mainly Republicans; have been gullible and too trustworthy of foreign predators,whom are only in America to work with their countries to gain control over all American resources. The American politicians fell for their corrupt schemes! Isn’t there a saying trust your family before your foe’s? Are there any more true American families? Why didn’t’ these American political leaders trust their own American country people, if they didn’t understand how to handle demands of international countries, maybe they should of researched the previous American Fore Fathers History, to view how they handled international country relations.They surely didn’t sell out or start giving America away to these other countries or pay them to come over too America! It’s been proven over decades many countries are not American friendly, so why would the America’s political leaders believe another country over their own country people. Money and greed by these American political leaders has been a planned out plot foreign countries have put in place for decades. Some countries assets were ceased decades ago by a previous American President, for the same reasoning of them doing corrupt business practices in the United States! They are using American resources to launder money back to their countries while learning, owning, working and investing in American businesses. They’ve been using their American owned businesses and foundations to do many of their sneaky corrupt practices. By which they learned from American Colleges, Wall Street, and Foreign lawyers! These wealthy foreign families have been able to bypass the American governmental system for decades funneling money back to their countries too eventually turn around decades later to take control of America, by which they have succeeded! At this point it makes no sense for America to fight wars with other countries who are living right here in America, this is defeating the purpose! An example; the Boston Suicide bombers who are foreign children,the American Government has allowed to come over to the United States to attend top American Universities. Did the Government not realize college wasn’t their priority, these foreign adults and children are in America for their own personal agenda’s, and many of them are collaborating with their home countries to plan out plots against American citizens. It is a known point many other countries train their children at a very young age to carry out these planned out suicidal deadly dangerous plots. The American political leaders have become gullible to this known fact, did they not comprehend this could be the case? They opened up the American flood gates to dangerous, corrupt, foreign criminals and their children! The American government doesn’t know the lives any of these foreign people led in their countries, nor do they know who they are, or their families private history or who they are attached too in their countries, although giving them a “free pass” into America to do as they please. Many foreign country people are embedded throughout America, whom are working with their countries to carry out many planned out plots against American’s for past war retaliations. The recent series of events were inevitable, 911, Suicide Bombers, H1N1 Pandemic, Royal Caribbean Virus outbreak, Chemical spill, Deadly Drugs, Medical devices, and the Plant explosion all of these incidences didn’t just occur, they’d been planned out plots against Americans brewing for some time now. The other countries retaliate when they don’t get what they want from the American Government. How can American’s fight against foreign owned corporations and private foreign individuals who are living among the American population, this is a disaster to every American family? Are Americans to bow down at this point and accept the fact America is now controlled by other countries, Europe – Germany – China – Nigeria being the main Four? There are many proven intelligence facts about the Economical Warfare in America that shows this! Also be aware “Male and Female made” diseases, have been brought into America to control the American population!The logic behind this is, If they do away with the American population, it will be much easier to take control. Again, these are all well planned out conspiracies they’ve been forming for decades, now century’s later the American population are starting to feel the impacts of these foreign countries workings. They’ve taken over every market in America, now many American’s families are suffering. Everyday there is a sad American story being told, from poverty all the way up to the corporate level where many Americans are now faced with seeing foreign workers from other countries, who are getting more benefits than the American born citizens. Which should not be! Another known sad occurrence in the American government, they are paying Filipino’s, Asian’s, Haitians and many other foreign nationals to come over to America, giving them free housing, paying their college tuition’s and assisting them with employment. How is this fair to the American citizens who have to pay for their own tuition and housing and pay back the American Government back? Americans are penalized and charged interest for not paying back their student loans and their credit history is affected. Why is our American government giving this opportunity to foreign countries and not their American people. With these actions by the American Government this has caused many Americans to go into financial debt, and take many jobs away from American citizens by giving the jobs to foreign nationals, who they’ve paid to come to America! Why is the American government paying any country to come over here to take our jobs, these countries are not paying Americans to come to their country and giving Americans free room and board to their jobs! American’s must start organizing together to take back control of our country, sadly as it may seems America is no better than any other country, whom are ousting their Governmental leaders, American’s may have too do the same to take back control over our country. Americans can not sit stagnant and let other countries take from our country any longer which is rightfully for the American born citizens. This is not fair too American born children who deserve a chance to live the American Dream long after their parents and grandparents are gone. The American Social Security Administration is responsible for every American citizens social security number, whether they are dead or alive. When the Social Security Administrations systems were hacked in 2012, did the U.S. Government not think of the impact this could have on American citizens. There is reasoning behind the recent hacking’s of American’s private information. The illegal foreigners are taking Americans private information dead, or alive, and using the information to their own benefits to infiltrate many area’s in the United States,taking away from many American families.They are using American Social Security numbers for many of their undocumented family members, to acquire Government services and American resources,and employing their family members at their U.S. owned companies. The following questions need answered, When you get a speedy visa implemented by the Bush Administration in the 1990’s, Who is monitoring foreign nationals and their families members? How are they filing taxes or not filing taxes with a work-visa? Does the American Government supply foreign nationals with social security numbers when they apply for American citizenship or a Work-visa? Also, how can foreign nationals get bank accounts, financial aid, jobs, apply for loans, buy homes, rent apartments and get governmental assistance, for their entire family, with a non established social security number on a foreign visa or passport? In addition, How does the American government keep track of American income made by foreigners? How does the United States Government know how much income is being sent back too their countries family members and Governments? Also,How in the world does the Social Security Administration know what American’s are dead or alive, if their database has been recently hacked, Do they really know who is legal or not legal? Who’s American and Who’s not? If a American dies, Does the the Social Security administration keep up with their social security number ensuring someone hasn’t stolen their identity? Many undocumented foreigners are assuming the lives of many American citizens who’ve been deceased for decades or recently passing, and lets us not forget including the current American citizens private social security information they’ve hacked or stolen their identities. American’s are being invaded in every possible way, it seems America can’t win for losing thanks to the United States Government,which has now been infiltrated by foreign nationals who are changing Bills, the U.S. Constitution and Bill of Rights, which has been in place for decades for every American born citizen. The new influx of foreign nationals are taking over numerous American markets, businesses, corporations in every industry, along with our homes, land, farms, and American’s social security numbers. Who really knows whose hands are on American citizens private information, which may be any foreign country Israel, Iran, China, Algeria, U.K., France, or Germany who knows where American’s Social Security and Credit Card information has gone and being used in some illegal form or fashion. These actions are obvious due too the recent influx of hackers, which many are from other countries! This is all thanks to EB-5 immigration bill, which currently has the assistance of many U.S. lawyers helping with the speedy illegal immigration processes.The American government, has allowed foreign nationals to take everything away from American families,this is a monstrosity to every American born family! Why would the Government do this to American citizens? Are American’s not worthy people of maintaining their own country? That’s quite an understatement, America has survived many, many decades without foreign help, look back into American history, these type of actions weren’t heard of by previous American Forefathers, Franklin D. Roosevelt or Eisenhower would of never allowed this to happen, if anything they were protecting their country from these type of foreign shenanigans.These actions are a slap in the face too many Veterans of America, How can the United States Government ask veterans to fight and die for their country? When they are allowing the same foreign nationals they are fighting against, to freely come over too America,and then have the audacity to pay them and their families to come invest in American businesses? This is very contradictory and disheartening. Have all American soldiers fought and died in vein for their country? Every American, should surely see there’s an economical warfare, all throughout America, in every aspect! Americans are not only getting “hack attacked,” from unknown foreign sources, they are stealing personal information and cloning your entire family history. America, realize this is being done by stealing your social security number and obtaining all your pertinent information, including your family history which is attached to your Social Security number. The U.S. Governments Social Security Administration is supposed to safe-guard and protect American’s Social Security information, this is not the case. If this problem is not addressed immediately, What is the next generation of American born children to do? The next generational American children’s future is looking very bleak, with the new foreign nationals and their children taking over America. Every American born citizen must stand up and demand justice against foreign hackers and violators who’ve stolen private information from American families, and this includes deceased American’s! Ask your Government, has your social security information been hacked, when was it hacked, if so did they inform you? Do you know if your social security information is safe from hackers? Also does the United States Government know the person or persons who’s stolen your information? Also question, How are foreign families able to get on their feet so quickly in the United States without established credit? Another widely known point being discussed, is many foreign nationals are using “under the radar large cash transactions”, for reasoning of no paper trail, becoming untraceable transactions. All of these corrupt actions must be stopped, American’s are suffering due to all of these illegal actions brought on by foreign nationals, and the United States Government continues to allow them to get away with it! Leaving true Americans to suffer alone, which is being emphasized all throughout America by many Americans! Another important factor is, How can the United States Government cut off Unemployment benefits to U.S. citizens who have paid into the Unemployment for many years. Is this legal? Don’t they not deserve their monies paid into the system? Demand Investigations & Audits of the U.S. Immigration system, U.S. Social Security Administration, U.S. Lawyers and every U.S.foreign owned business! 3.6 million Social Security numbers hacked in S.C.
Bush Administration sold America Out back in 1990 to every foreign country! America was sold out by the Bush Administration by implementing a bill, which allows foreigners and their families to move into the United States, and get funded by the American government for moving here! Along with visa access with their own designated lawyers. This is a foreign scam against business ownership and citizenship, brought on by the American Government in the Bush Administration era. Of course with the help of republicans, they’ve been paying out American citizens tax paying dollars to foreign countries and their families too move to America! This is a joke and humiliating to every American citizen! This should be appalling to every American Citizens and every American must demand these bills be revised immediately for the sake of the American people and our country and the next American generations! There is no way, that America should be paying people to move to our country, taking away from many Americans, this is the craziest thing if you ever heard one. NO, other country is going to pay an American investor and their families to move to their country! So why in the world is the American government allowing this? The bill implemented by the past Bush Administration is the reason America has now turned into a international country. These foreign countries and their families have taken over much of America, leaving many American citizens, in poverty, unemployed, losing their homes, and unable to feed their families. This has been going on since the 1990’s, when the bill was implemented and now has hit home to many American families! The Bush Administration has allowed these foreigners to come to America on work-visa’s bypassing the system using good foreign American lawyers, allowing them to take control over America buying businesses, corporations, homes, land, and anything else they can get their hands on in America! They even had the audacity to have lawyers available to assist foreigners with their Visa’s if they’re interested in coming to America, this goes to show there are many dishonest lawyers in America, who also need investigated! So let’s see, the American government is paying foreign families to come to America and helping them get here through the immigration and work-visa Governmental system, apparently led by the republicans since the bill was implemented during the Bush Administration.This is a nightmare for every American family in the United States! They’ve turned America into a International nightmare for every American born citizen, Why would they do that to American citizens they’ve already outsourced many businesses to foreign countries, why would it be necessary to pay foreign countries and their entire families too come to America with the money the American government has given them? This is definitely a double-standard and not in the best interest of the American people. In fact, these actions are a slap in the face to every American family who is now struggling in their own country! Foreign nationals are now living the American Dream and the American people are living in poverty and suffering.These foreign countries have been allowed to come and infiltrate every area throughout America’s 50 States, impacting every American family! America does not personally know these individuals or put them through any stringent tests or follow-up with them on a consistent basis, although the government has allowed them in our country. The American government do not know these foreign nationals pasts, mind-sets, qualities, values, family history, or likeness of America. Thanks, to the Bush Administration, no one knows if these foreign nationals and their families are safe to be in our country! If American friendly why are many Americans suffering, the bill listed in other countries has been in effect, 1990-2014 this a long time for a foreign national to be in America to cause corrupt damage to the entire American population. These new foreign American paid families are taking away from American families and sending American money back to their country to benefit their extended families not American families. The bill should be revised immediately, every American family should be upset! The Republican American government rather take care of and pay foreign nationals, than take care of their own American citizens. This explains why many American foreigners business owners are part of the ALEC private organization and other top government institutions. They’ve made money throughout the decades in America which has allowed them to pay double, triple and quadruple for any businesses in America. The foreigners let in by the Bush Administration bill, learned early on some American’s are greedy, and all they have to do is flash dollar signs in front of many American’s and they can get and buy whatever they want! Every American citizen must stand up and demand answers of why the American government would pay people from other countries to come invest and own businesses in America, when they have their own American citizens who aren’t being paid? Read below article posted in other countries concerning American citizenship! This program was created in 1990 when President George HW Bush, but enjoy great popularity began after 2005, when introduced changes in the law, facilitate the development of large projects with many foreign investors. Undoubted advantage of this program is to obtain Green Cards quickness. Permission for a temporary, two-year green card, usually come within 8-14 months from the filing date. End of portion of article for more please contact CABIRI! This bill has to be revised immediately for the inequality of every American citizen, the government has allowed international visitors and their families to take away from American families which is a major injustice! this should not be, why are they giving away America to foreign families! What about American families? Another point that should be also addressed is the credibility of all the Lawyers who are assisting foreign immigrants with a speedy USA Visa! This is totally not fair to the American people of America! Do Americans not matter? What will Americans have left for the next American generations? View Related Video’s of How easy it is for foreigners to come to America and get what they want for them & their families! See the laundry list of help international investors and their families are getting! While American citizens get no help and our in poverty! Due to all of the below immigration bills in place! http://www.youtube.com/watch?v=Zw31NfBklZU – 214(b) Visa Denial: How to Avoid It and Can You Overcome It? http://www.youtube.com/watch?v=6ydbBQHiQjw – Tips to GET F1 VISA! http://www.youtube.com/watch?v=8fkcroexyPI – How is an immigration interview typically conducted at the USCIS? http://www.youtube.com/watch?v=5TXU-p2QaA0 – US Citizenship Naturalization Test 2014, OFFICIAL (All 100 Quest) – This test is a slap in the face to American born citizens – There is much more to American History than these 100 questions! https://consumer2savlives.wordpress.com/wp-admin/post.php?post=1104&action=edit – Is the TN Visa Difficult to Obtain? to the American citizens and their families. It is not fair to American citizens Internationals are getting business funding and American business owners such as CABIRI,is having a hard time getting funding help for an American business! This should not be America! Please wake up citizens of America! We must put a stop to this inequality in America! win your Nexium Cases! If you can not please email with will be more than happy to assist you! Mirena Lawsuits a Waste of Time and America's Taxpayers Money! Free Constitutional Rights Boot Camp - Introduction - Getting Back To The Law Of The Land! Everyone, at some point in their lives, wakes up in the middle of the night with the feeling that they are all alone in the world, and that nobody loves them now and that nobody will ever love them, and that they will never have a decent night’s sleep again and will spend their lives wandering blearily around a loveless landscape, hoping desperately that their circumstances will improve, but suspecting, in their heart of hearts, that they will remain unloved forever. The best thing to do in these circumstances is to wake somebody else up, so that they can feel this way, too.